Thanks for visiting Boiler Services Ashbourne. We are part of the boiler services Meath group who specialize in boiler servicing repair and installation. Our parent company has been established for over 30 years and in that time we have gained incredible experience in everything to do with boilers. All of our team are RGI registered and fully qualified plumbers by trade, they just decided to come on board with us an hone their skills in this niche of the plumbing industry. Our emergency boiler services Ashbourne team are on call 24 hours a day! That’s right we don’t let our clients freeze in the winter. If you are unlucky enough to have your boiler stop working in the evening or weekend just call your friendly boiler services technicians at boiler services Asbourne on 0469011255. One of our rotational on call team throughout county Meath can normally be with you in under an hour (traffic dependent). On arrival a team member will quickly diagnose the fault and get you warm again before you know it. We do not operate a call out fee, we only start to charge for diagnosing and repairing the fault (please read our terms and conditions here). We know our rates are great, so we don’t hide them. 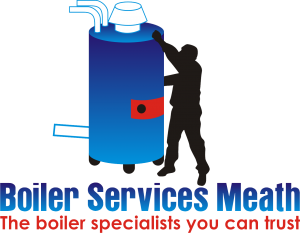 We are happy to provide free estimate on boiler servicing, repair and installations without obligation. We don’t impose any hidden charges or fees such as travel time. We get parts when required in our time and not yours. This along with our expert knowledge and unbeatable customer service has been the secret of our unbridled success over the last 3 decades. We are comprehensively insured to the tune of 6.5 million euros and all our work comes with the boiler services Ashbourne standard 1 year parts and labor guarantee. Why get a jack of all trades plumber to work on your boiler when for the same or less money you can have an expert? The prices for a boiler service are between 55-79 euros depending on the make and model, call the professional today on 046-9011255 to arrange yours.